Are you Using Keywords to Measure Performance? Discussions about keywords or search terms that people use in their search engine searches usually relate to a search engine optimization (SEO) framework. In this context, SEO keywords are the words and phrases included in web content that make it possible for people to find a site when they search using these same or similar words. An alternative view is to think of keywords as metrics for measuring performance – how many times was a keyword or phrase used in a search that relates to your program or a competitor’s program. Collecting keyword data on a regular basis about a program, a competitor’s program, or even market segments can give insight into how events or marketing campaigns influenced the search behavior of individuals. Keyword research using keyword search tools provides data in a user-friendly format that makes it easy to gather the requisite data for reporting and trend analysis. In most cases these tools are gathering data from Google. Keyword data about a market segment can offer insight into how your program is doing compared to the market. The following graduate management education data shows what is possible. As of August 30, 2018, the average search volume for MBA, EMBA, and online MBA was 673,000, 49,500, and 33,100 times per month respectively. Tracking this data over time provides a sign of what the market is doing. Add program data to this trend analysis and gross comparisons are possible. For example, keyword search results for the same period for Duke MBA, Duke EMBA, and Duke Online MBA was 3,600, 320, and 390 times. Collecting and reporting this data over time gives program decision makers a sign of program trends compared to industry trends. Another approach is to use keyword data for program comparisons. For example, using Duke, UNC, and NC State, the following table shows the MBA, EMBA, and Online MBA search volume for each program for August 30, 2018. Gathering and reporting on keyword data for these three institutions and their programs over time may show shifts in their relative positions about the number of times people used Duke MBA, UNC MBA, NC State MBA, etc. as search terms. 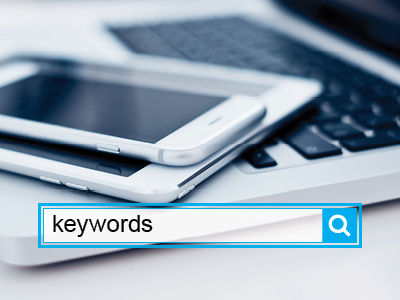 You can expand this set of keywords to include other competitors and other relevant keywords for added insight. Using keyword research as a performance metric requires a lot of fine-tuning. The keywords above, Duke MBA, UNC MBA, etc. may not represent the keywords people are using when searching for a program. UNC Chapel Hill MBA or North Carolina State University MBA may be terms that others are using for their search. Finding the mix of keywords for any program will need experimentation. Published with permission of Rodney Alsup, MBA News Digest. Visit here for a free subscription to MBA News Digest.